The F-Word is trialling a new monthly music update. Be sure to let us know what you think! 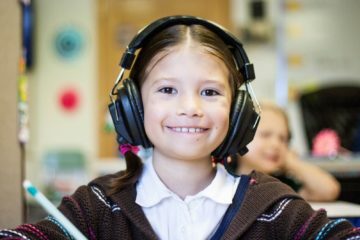 Welcome to The F-Word music blog! We’re heading into one of the busiest periods of the year in terms of new releases and tour schedules so there’s a lot to digest this month. The always excellent Christine and the Queens released highly anticipated second album, Chris, at the end of September and Wolf Alice won the Mercury Music Prize 2018 for last years Visions Of A Life. Late September also saw the release of the MIA documentary MATANGI/MAYA/MIA, which has received favourable reactions from critics. Insofar as upcoming album releases are concerned, 5 October sees new releases by brooding introspectionist Cat Power (Wanderer), gothic tinged garage punks Death Valley Girls (Darkness Rains), Welsh indie punks Estrons (You Say I’m Too Much, I Say You’re Not Enough), ferocious and devastating grunge queen She Makes War (Brace For Impact), electro landscaper Ah! Kosmos (Beautiful Swamp) and the inimitable Kristen Hersh (Possible Dust Clouds). 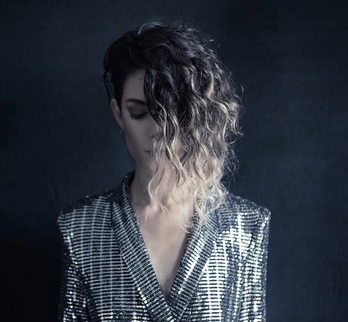 19 October sees album releases by post punk queen Neneh Cherry (Broken Politics) and angular indie workouts from Weakened Friends (Common Blah) while 26 October sees releases by the towering Pixies tinged Vaureen (Extraterra), minimalist singer/songwriter Julia Holter (Aviary) and brooding soundscapes from Penelope Trappes (Penelope Two). A lot of artists are touring throughout October and beyond, including She Makes War (who is playing most of her dates with Dream Nails). 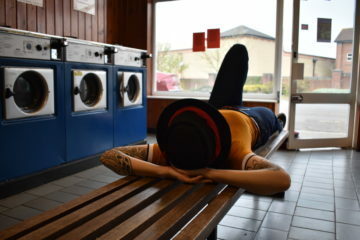 Cassie Fox’s punk band Guttfull will also be playing live dates in October and November. Indie rock queen Tancred will be touring the UK in November, and Estrons throughout October, November and December. Not sure what to check out this month? This month’s playlist might help you decide. 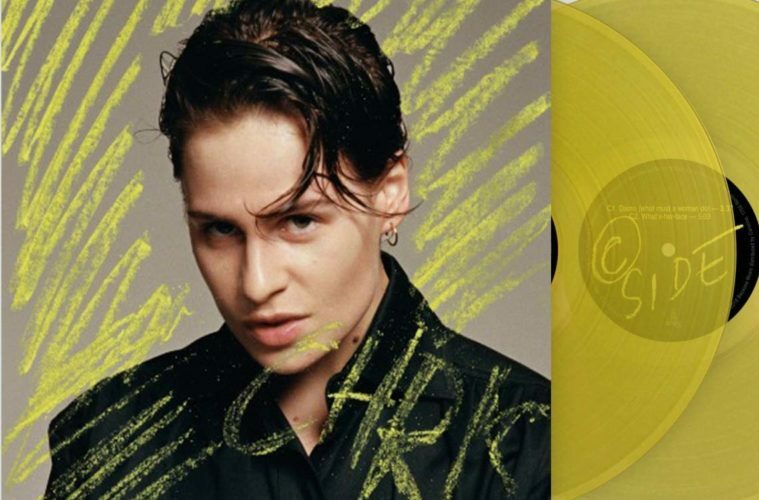 The featured image is the album sleeve of Chris by Christine and the Queens (with a just visible yellow vinyl record coming out of it). The cover shows Héloïse Letissier with slick short hair and a confident ‘swaggering’ expression. The title is written in a yellow crayon style, with scribbly lines around Letissier. Image two is of Ah! Kosmos by Arda Funda, courtesy of 9PR. Image shows Başak Günak, also known as Ah! Kosmos. 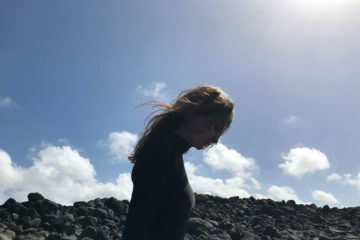 The image is a head and shoulders shot and she is facing the camera, but looking down. Her face is obscured by her black/blonde hair. She is wearing a silver jacket. Image three is of Penelope Trappes by Agnes Haus. She is silhouetted against a bright blue sky with white fluffy clouds, and some rocks. She is sideways on to the camera, looking downwards.